When Can a Landlord Be Held Liable for Injuries? What Happens if a Car Accident Claim Goes to Court? How Can I Tell if An Insurance Company is Acting in Bad Faith? Should I Accept a Settlement Offer from an At-Fault Driver’s Insurance Company? 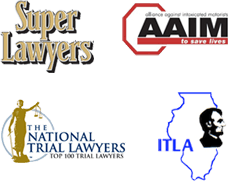 Is Illinois a “Fault” Car Accident State? What Damages Are Available in Medical Malpractice Claims? Should I Settle My Personal Injury Claim Or Go To Court?